The MILKY WAY NECKLACE, displayed in the VAULT, consists of 2000 DIAMONDS intricately adorned on a PLATINUM GRID. 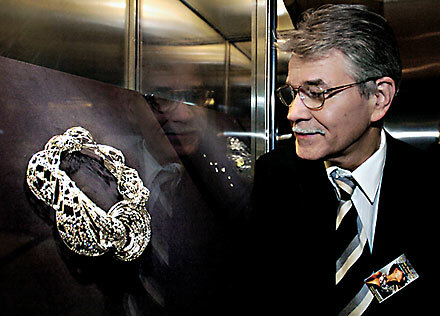 Dieter Huebner and created in collaboration with Brinkhaus Jewellers, Vancouver as a salute to the new millennium. The piece won a De Beers Diamonds International Award in 2000.